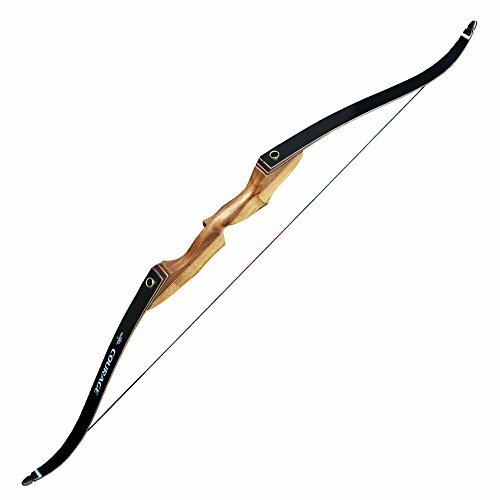 Parker has achieved fabulous successes in the making of compound bows and crossbows and is the leading manufacturer of compound bows and crossbows on the planet. Parker owes the inspirational success to quality of product, superior designing, high rate of performance and after sale service of the products. Parker engineers and designers have engaged space technology in producing futuristic and enchanting crossbows to magnetize both professional and amateur archers. For example, the inaccuracy of the crossbows is caused by the rainbow trajectory of the projectiles. Parker has introduced crossbows yielding great force to propel the lighter arrows on a flatter trajectory and higher speeds with superior accuracy. 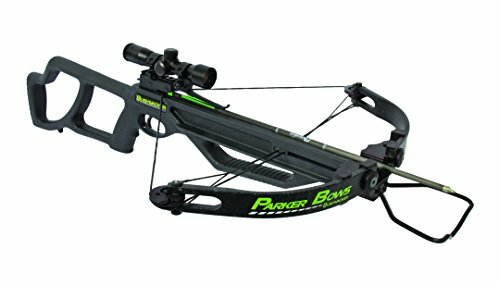 This specific model X115-PS Gale Force Crossbow of Parker can be purchased below $950 at discount rates. The X115 has taken the initiative to introduce the Synergy Cams technology which significantly reduces the cocking energy by 50%. 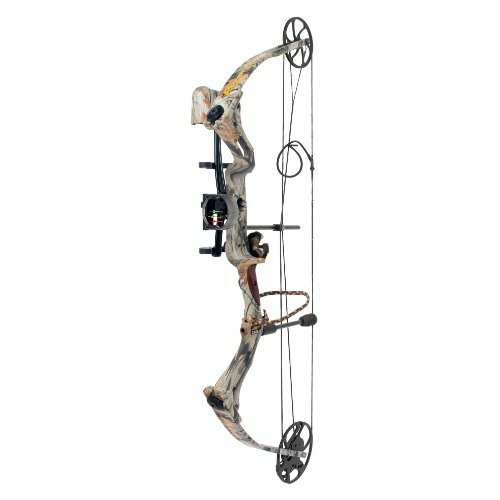 Another daring introduction is the Advanced Split Limb Technology that protects the limbs from cracking at the V point where the limb is attached to the axle and transfers the energy evenly has it traverses from the bow to the arrow. The limb is physically split in to two parts but held together with V-shaped bracket and this technology allows the limb parts to flex simultaneously when you draw the X115-Ps. Other prominent features of the X115-PS Gale Force include the integrated Fulcrum Pocket System to give it a sleek dynamic look. 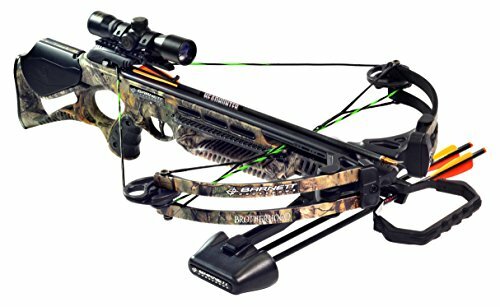 The compact crossbow shoots arrows with a velocity of 360 fps and hit the target with stunning accuracy due to balanced alignment of the frame, shock absorbing and anti vibration system. The animal remains unaware of the imminent peril because the X115-PS is engineered to cut down noise and vibration. The Gale Force has anti dry fire and auto safety engaged which is ambidextrous. The adjustable stock is AR style that has additional friction lock, covered release for safety, sloping cheek weld and premium chrome and silicon lock spring to ensure total safety. The Center Fire is a classic super lightweight and super compact with loaded features to outdo all competitors. 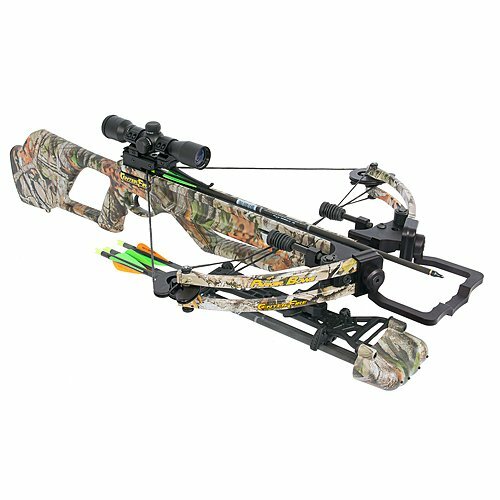 This particular model is priced below $750 comes with factory fitted and tuned anti-vibration and anti-shock system (AVS) that minimizes both the vibration and shock at the time of firing the arrow. Like other quality products of Parker the Center Fire also has Advanced Split Limb Technology that keeps the noise and vibration at the lowest possible levels. The graceful stock has a Soft Touch finish, solid cheek weld and a comfortable vented forearm equipped with Finger Flange for safety. The Center Fire is 18” from axle to axle and the length is 37.5” with a weight of 8lbs but displaying breathtaking arrow speeds of 335 fps generated by a draw weight of 165lbs and power stroke of 12.” The classic Center Fire has a ballistic polymer barrel and a machined aluminum riser all complemented with Red Hot synthetic string. The Red Hot EZ rope cocking device dramatically reduces the coking effort by no less than 50%. 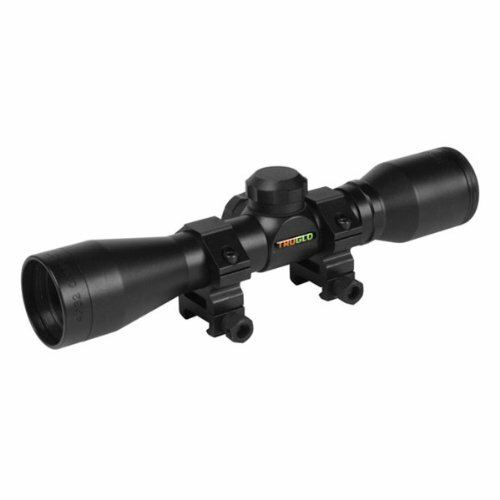 The 3x multi-reticle scope is included in the package. The Bushwacker speaks volumes of the Parker engineers and designers to introduce a high-tech and high performance crossbow that is the best crossbow at introductory level. Priced below $400 the Bushwacker is laced with latest technology, like the metal G2 trigger, anti dry fire safety, ambidextrous auto engage safety and vented forearm with safety finger flange. The stock has a pistol grip and a thumb hole to provide a firm and comfortable grip. 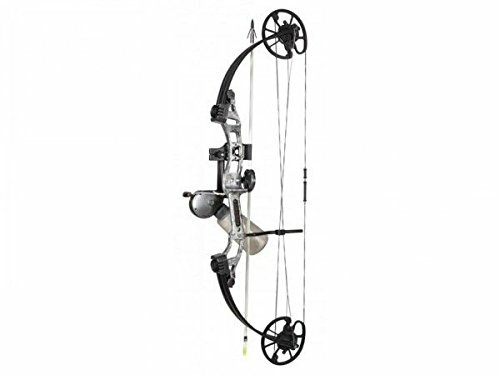 The Bushwacker exerts arrow speeds of 285 fps through a draw weight of 150lbs and power stroke of 11.” The riser is machined and made of aluminum; synthetic string and cable are from Red Hot, EZ technology reduces cocking effort by half and offers smooth cocking of the crossbow. The bow length is 37” and axle to axle is 23.25” and weighs 7lbs. Parker Eagle is an ideal crossbow for beginners priced below $350 and is virtually maintenance-free and trouble-free. 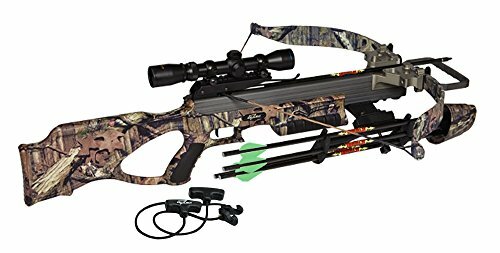 The Eagle needs no assembling, the manufacturer sends the crossbow in the box with all items factory-fitted, so you are ready to practice the moment you open the box. The Eagle is designed to be feather lightweight because the beginners are the target audience. Their body and muscles need to be tuned to the strenuous exercise of the game. The Eagle Outfitter is very forgiving for the errors to be made by novice shooters. It is detailed to be extremely smooth with the aid of parallel limbs, tunable string system and Micro-Lite vented parallel limb pockets. The grip has an elegant finish of deep walnut; it has a machined aluminum riser and a Whisker Biscuit arrow rest. This special trouble-free model offers high grade performance with high-tech design and quality fittings. The Eagle Outfitter is highly accurate owing to a factory installed optic sight and is factory tuned and needs no adjustments. The Eagle has IBO velocity of 310 fps and changeable draw weights from 50 to 60lbs and 60 to 70lbs. The draw length is also adjustable from 26-31,” the brace height is 7.3/4 and the lightweight Eagle weighs below 4lbs. This particular model of Parker Stingray is specifically designed for bow fishing and it is equipped with an AMS retriever system to retrieve the fish from the waters. Parker Stingray saves you the extra money that you need to buy separate bow fishing crossbows for fresh water and salt water because the Stingray is equally effective for both kinds of waters. The Stingray is comparatively light weighing 7.5lbs, it is compact and comfortable to carry, aim and hit the target. Parker has designed the Stingray to provide optimum pleasure in bow fishing by offering remarkable performance. The Stingray has an adjustable draw weight from 100 to 125lbs that can be done without using any tools. The accuracy of shot is achieved with pro bow fishing sight and the fish is retrieved with pre-mounted AMS retriever reel that has no buttons to be pressed it is packed in a bottle and comes out of the reel without any hindrances. Pull the trigger and turn the lever and the arrow will be retrieved. The Stingray also has a sharp G2 trigger system to ensure the safety of the shooter with an ambidextrous safety and anti dry fire system. The finger flange also protects you when shooting the Stingray. The Stingray package is loaded with virtually everything you need for bowfishing, like, open sight, AMS retriever pro bowfishing reel, 25yds of 200lbs Dacron line, arrow with Muzzy Gator Getter point, arrow quiver and 2 AMS safety slide kits. 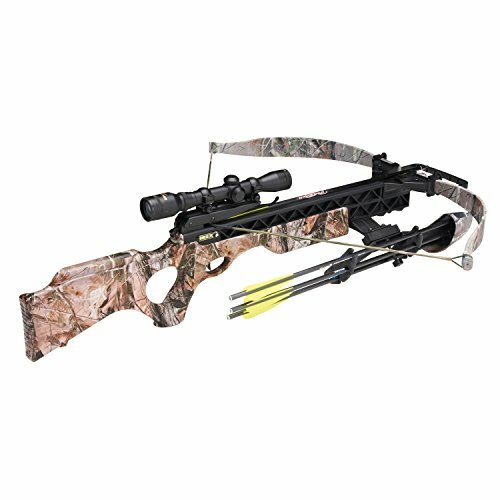 Parker Frontier compound bow is a great value crossbow that displays high-tech at lightening speeds with novel adjustable draw length. This particular model is for left hand archers, it is camouflaged, carries higher momentum and more powerful penetration in big hunt. The Frontier crossbow owns speed, power and smoothness and all this with minimum recoil due to parallel limb technology that allows for nominal hand shock and with muzzled noise. The Parker Frontier touches the frontiers of extreme smoothness that attract the archers and parallel limb technology lifts crossbow hunting to new heights. Animals possess powerful hearing faculty and the slightest noise can alert them, so the parallel limb technology does not let the forces of bow throw it forward. Rather the same forces of the bow work against each other and cancel each other’s affect to keep the crossbow movement to minimum and a lot quieter. The Frontier has a machined aluminum riser and the bow is very forgiving and has an 80% let-off to provide the shooters comfortable shots. The frame is made of Mobu (Mossy Oak Beak-Up), the grip is synthetic and the crossbow weighs only 4lbs 3 ounces. The Frontier has two adjustable draw lengths of 29” and 28”because the crossbow is fitted with 2 interchangeable cam modules. This model has a draw weight of 70lbs to release arrows at speeds of 313 fps and produce enough force to kill big animals. Parker Bows Challenger is engineered to perform and the designing is dazzling and adorable fit for females and young people at an affordable price. The Challenger is petite and lightweight and highly portable to negotiate the tough environment for long hours. The compact lightweight crossbow has an adjustable draw weight to match your strength and abilities and the adjustment of draw weight requires no particular tools, no extra parts and no bow press. The features of the Challenger are detailed and daring with an athletic lightweight design, the scale barely touching 5.5lbs. The stock is fitted with a G2 trigger technology and vented forearm is neatly balanced to allow a steady aim at the target. The vented forearm comes with safety finger flange, attached to a machined aluminum riser and fixed with Red Hot synthetic string and cable to give efficiency and reliability. The Challenger has adjustable draw weights from 125lbs to 150lbs that propels a 20” 400 grain arrow up to speeds ranging between 275 fps and 300 fps. 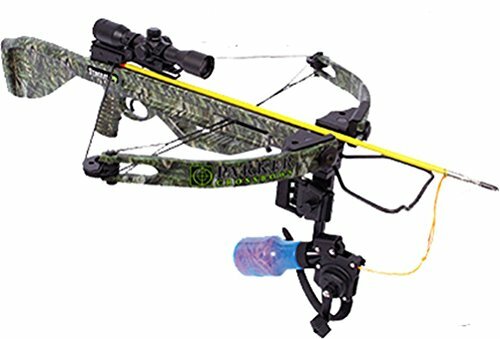 The Challenger model is easily cocked with 50% less effort due to the EZ draw technology and for additional safety the crossbow has anti dry fire device along with auto engage ambidextrous safety. Axle to axle the Challenger is 31.75” long and 21.25” wide and comes with a ballistic polymer barrel.